The heat is on and the World Cup in Russia have finally reached the exciting play off stages! July is also a great month for some exciting online casino action and we have gathered a short guide here below where you can find the latest and the best online casino bonuses. 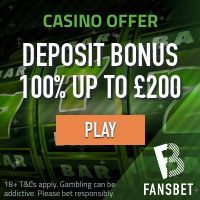 If you fancy to try some no deposit spins or get access to some of the highest valued welcome bonus packages, then make sure you check out the casino offers below! bCasino: Enjoy at Welcome Bonus Package worth up to £1,200 + 100 Spins! Click here and join bCasino and claim your Welcome Bonus Package of up to £1,200 + 100 Spins! Cashmio: Get 20 No Deposit Spins in Aloha as a new member! If you fancy some nice no deposit spins in the very entertaining video slot called Aloha! Cluster Pays, then make sure you visit Cashmio and register your account. The no deposit spins are only available for players located in Austria, Finland, Netherlands, New Zealand, Norway, Switzerland, Malta and Sweden, but there’s loads of nice deposit bonuses available for players residing in other countries as well. Such as the UK welcome bonus where players will get 150 casino spins upon their first deposit. Cashmio offer all the latest casino games from NetEnt, Yggdrasil Gaming, Betsoft, Microgaming, ELK Studios, Play’n GO and more. Cashmio is licensed by the Malta Gaming Authority and the UK Gambling Commission. 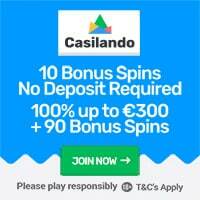 Click here and collect your 20 No Deposit Spins at Cashmio! Trada Casino: 25 No Deposit Bonus Spins on Great Rhino! Join Trada Casino and get a complimentary gift of 25 bonus spins to play on Great Rhino video slot by Pragmatic Play. Winnings from the complimentary bonus spins must be wagered 40 times before cashing any eventual winnings. 200% first match deposit bonus! This bonus will triple the players casino credit. In order to claim this bonus, players will have to enter the bonus code: 200MATCH when making their first deposit. Click here to join Trada Casino and claim 25 complimentary bonus spins – No Deposit Required! BGO Casino: Get 10 No Deposit Spins without any wagering requirements! This is probably the hottest online casino bonus available anywhere; new and eligible members will get 10 no deposit spins upon account registration and any winnings from these spins are NOT subject to any wagering requirements at all! meaning, winnings will be paid out in real cash and added to your account immediately. Further, upon your first deposit, you will also get another 100 spins on the same terms i.e no wagering requirements! BGO Casino is powered by a nice list of game vendors such as Williams Interactive, Bally Technologies, Nextgen Gaming, NetEnt, Playtech, IGT and more. BGO Casino is licensed in both the UK and the EU. Click here and become a member of BGO Casino and claim your 10 No Deposit Spins! Rise Casino: Deposit £/€/CAD 10 and Get 25 Free Spins on 1st and 2nd Deposit – No Wagering on Winnings! Rise Casino was established in the late spring of 2018 and is part of the Cassava/888 group of casinos. They are licensed by the UK Gambling Commission and the Gibraltar Gaming Commission. The games at Rise Casino are powered by the Dragonfish platform which included games from NetEnt, IGT, 888, NextGen and Thunderkick just to name a few. New and eligible players will get a great welcome offer that is the same for both the 1st and 2nd deposits: Deposit £/€/CAD10 and get 25 Free Spins! But the best part is that winnings from these free spins are wager free – no wagering requirements applies. Click here and join Rise Casino and get your Welcome Package – Wager free!